Celebrating this beautiful occasion with your brother! Then this Exotic Assorted Sweets with Dry Fruits along with Rakhi gives flavor of Indian sweets. 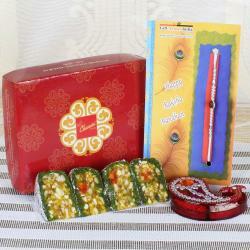 This gift pack, packed with sweets and designer beads is a great gift box that helps to impress your brother on Rakhi. It has fresh Indian sweets and wonderful rakhi for your beloved brother. The gift set comes with exclusively crafted bhaiya bhabhi rakhi printed with different colored boxes. It is a perfect way to surprise your brother with tasteful sweets. 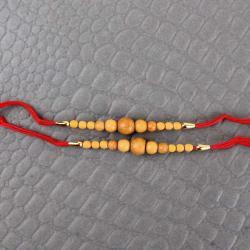 This gift comes with beautiful rakhi made with joy. 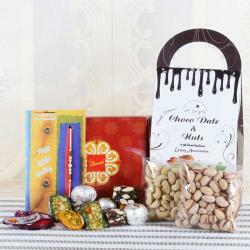 Order this pack for Raksha Bandhan celebration and make it something different. 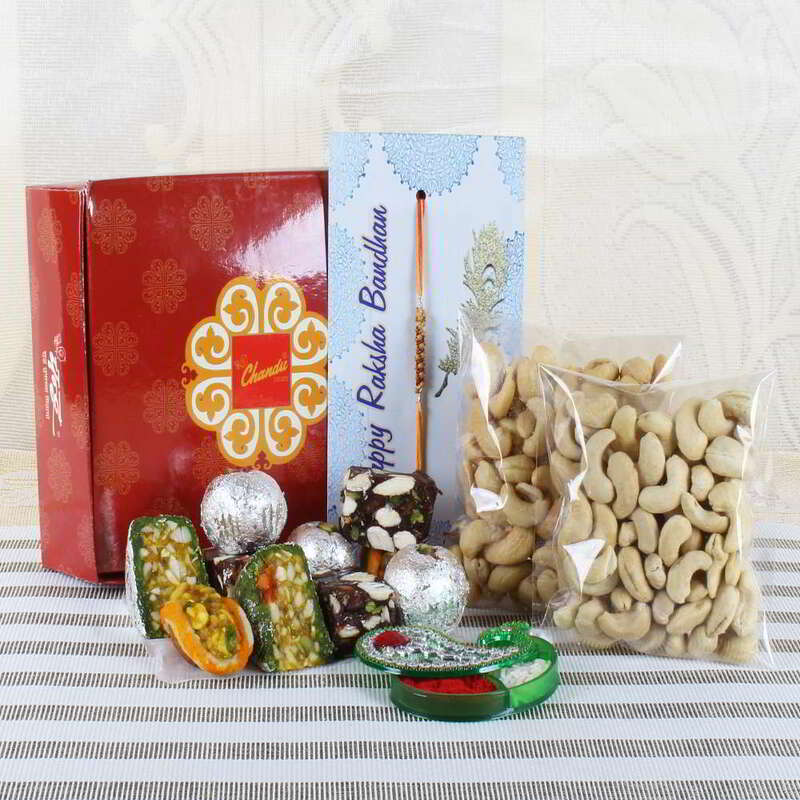 Product Consists of: Assorted Sweets (Weight: 500 gms), Tiny Artificial Wooden Beads Rakhi, Salted Cashew (Weight: 100 gms), Cashew (Weight: 100 gms) along with Roli Chawal Container.